Mainsail Lawyers welcomes David Guidry to the firm! “David brings a wealth of trial and business litigation experience to Mainsail Lawyers and expands our physical presence in Charlotte, North Carolina”, according to the firm’s Managing Member, Kellam Warren. “Our unique firm has experienced unprecedented growth in our trade secret and business litigation practice, and David is exactly the type of top-notch, partner-level trial attorney and business litigator that we aim to pair with clients to meet and ideally exceed client expectations”, added Kellam. 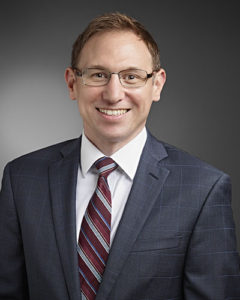 Previously associated with King & Spalding LLP, David not only brings additional Big Law training and experience to Mainsail Lawyers, but he also draws on his prior experience working as an Investment Banker in New York with Deutsche Bank and Lehman Brothers. David received a B.B.A. in Finance from The University of Texas at Austin and a J.D. from Vanderbilt University Law School. “We’re excited to add to our bench of experienced trial and business litigation attorneys, an accomplished lawyer like David. He stands out for his demonstrated success creating valuable early resolution opportunities to achieve client goals, but he also has a proven track record of working cases to jury verdict when that’s what is needed to get a client’s job done right”, said Jody Hanks, who heads up Mainsail’s Corporate and Outsourced General Counsel Practices. David has represented clients in disputes involving contracts, real estate, corporate M & A transactions, trade secret theft, unfair and deceptive trade practices, and securities and investments, among other things. contractor that failed to complete retail construction project. – Securing an arbitration award for an inventor and business owner-client and recovering damages from a foreign manufacturer for trade secret theft and unfair and deceptive trade practices. – Obtaining a jury verdict in North Carolina federal court awarding damages for individual-client wrongfully terminated by his employer shortly after buying his family business. – Winning a bench trial in North Carolina state court enforcing a real estate firm-client’s lease and real property rights and successfully defending the decision on appeal. – Successfully defending a telecommunications company in a books and records inspection trial brought by dissident directors of the company in Delaware Chancery Court. – Successfully defending a broker-dealer in arbitration against claims of securities fraud in connection with sales of collateralized loan obligations. – Representing an auto parts maker to resolve product defect and warranty claims in North Carolina federal court and international arbitration. – Winning a permanent injunction in New York federal court, stopping a rogue arbitration against a commercial bank and its broker-dealer affiliate, upheld on appeal by the Second Circuit. – Successfully defending a broker-dealer in arbitration against claims of securities fraud in connection with auction rate securities and interest rate swaps contracts. – Representing a clean energy company in North Carolina business court pursuing trade secret misappropriation and unfair trade practices claims against a competitor. – Successfully enforcing commercial real estate loan guarantees for an investment bank-client in North Carolina federal court after securing dismissal of novel debt collection counterclaims.